5, a frying pan, a sauce pan and a set of 3 steamer pans. 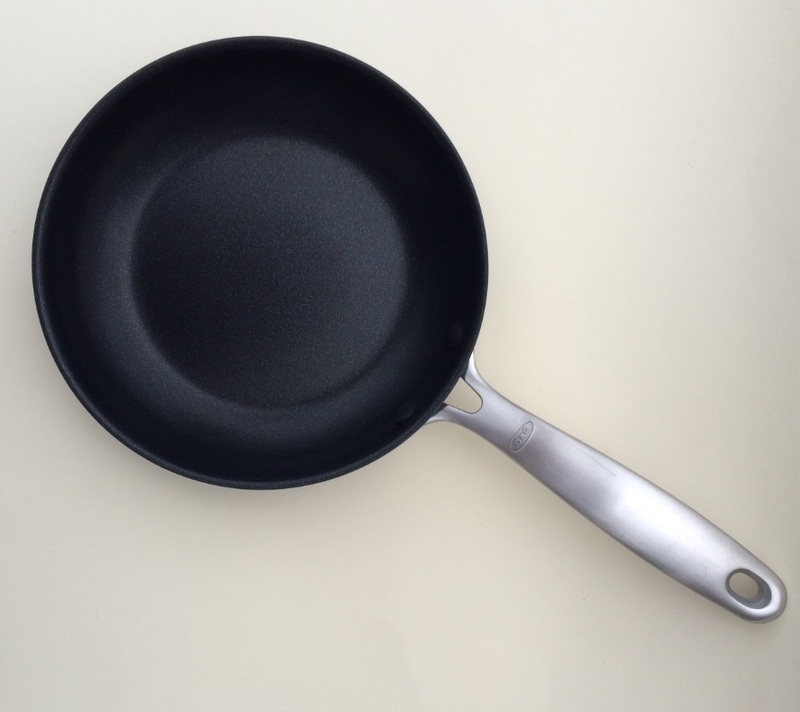 How many pans do you think you should have in your kitchen? The honest answer is "just one more" because no matter how many there are, something always ends up being cooked in the wrong size pan! I store most things in plastic containers, that way they all keep fresh. I have about 15 different kinds of pots and pans in my kitchen, all different shapes and sizer and for different purposes. I have about 15 for different purposes, all different shapes and sizes. I have 4 pans and a frying pan that is falling apart! 5 pans in our kitchen, could really do with a decent non-stick frying pan. Hmmm - 8 saucepans, 2 woks, 3 frying pans, a griddle and a HUGE cookpot/pan. Too many lol! I use all pans like these with stainless Steele handles last so much longer. 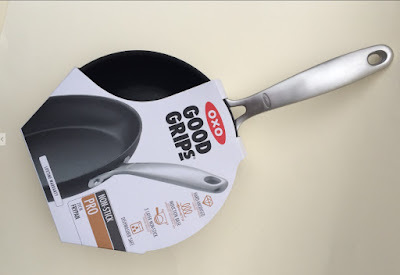 My wife loves OXO Good Grips and has quite a collection - but not one of these! now, about 3, Christmas cooking ruined some of them so in desperate need to restock! Actually I only have 3 pans as I am renting temporarily due to work, but they are 3 good ones and usually enough. 11 pans varying from 2 from 1977 and 2 from 2013! I have about two pans. Very good quality equipment is a must. About 7 or 8 pans but only 1 frying pan,my son pinched my best one for his flat! I have 2 at the minute but really need a new one! We only have one pan believe it or not, use it for everything. Our little tiny kitchen doesn't have much room for too many things. It's quite big, would be nice to have a smaller one. I only have 4 pans. I have 3 JML Regis stone frying pans, a paella pan, a griddle pan, cast iron frying pan, steamer, 3 saucepans, & numerous cast iron casseroles. I've got 6 saucepans, 2 frying pans and a steamer. 5 pans and 2 frying pans and a wok! Four pans and around three frying pans - pretty ridiculous really as we are always fighting over them! Five or six, but it's never enough! I have loads, about 12 I think it is....but they are all really old and need replacing - most of those I own Ido not use and only have 4 pans that I use time after time. I should dispose of the rest really and then it will force me into actually replacing them! I have a few - but it would be pantastic to have another !! 3 pans, but two of thsoe are well on their way out! I have 5 pans (three great, two a little worse for wear), two shabby frying pans and a shabbier griddle pan! I only have 3... so this would be a fab prize! I think its 12 but it could be more I do love to cook! A set of three large copper bottom pans inc a deep frying pan, a large non stick frying pan and a single large stainless steel one. I recently had a clear out and chucked all my old ones out. I've got 4 pans, I think. 3 but I need more! Ooh er, well- somewhere under ten pans. I always manage to run out, end up heating stuff up in a a stainless steel mixing bowl. 2 frying pans, a wok, 6 saucepans, an egg poacher and a steamer! 3 frying pans of different sizes, 2 milk pans, a sauce pot, a big boiler and a jam-making pan and a 3 tier veg steamer - far too many for the small cupboard they have to fit in! 3 pans, one is useless though and one is a pancake pan! we have 5 pans in total. I actually only have two right now but I'm single so I get away with it! We have 3 saucpans and 1 frying pan, all which are dented and way past their time! 4 saucepans and 2 frying pans. 6 pans and a frying pan, I still seem to run out! 7 and a manky frying pan! we have 2 and very well used. Loads, but only 2 of them are worth using! We have three pans in the kitchen. 2 Tefal non-stick pans, one of which the surface has worn off on, and a ceramic wok. we have about 7, but only one is mine, the others are my house mate's. I'm moving in with my fiancé in March, so another pan would come in handy! 4 pans, and would love to get to grips with this super frying pan. Waaaay too many. About 10. Only 2, we desperately need some new ones! One good one that I hide away so the kids don't ruin the non-stick. And many rubbish ones I really need to replace!